Correction: Max Landis, the subject of this story, responded to our request mere minutes after the article went online. He denied the claims. Original article follows with small tweaks. “There’s only one of my dad’s movies I’d ever be willing to try to remake and I’m already doing it,” said screenwriter Max Landis on Twitter Wednesday night. Landis’ dad, John, directed several great movies but the Internet seems to think he’s talking about An American Werewolf in London. 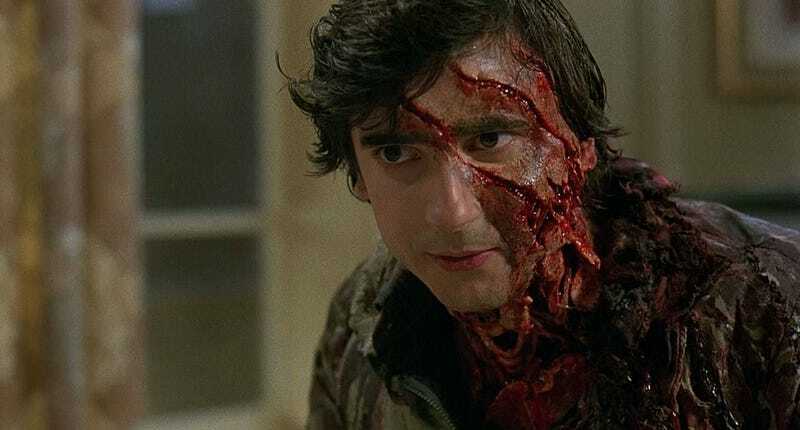 Bloody Disgusting first made the connection as Landis’ tweet confirmed a story they’d reportedly been looking into for some time. Other tweets from a few months before also suggested the writer was working on the property. He may even direct. We tweeted at Landis asking for confirmation and, minutes after we published, he denied the rumors. Still, Hollywood going into their archives and pillaging the best ideas from the past feels so easy and uncreative. But if you have to do that, and the trend isn’t going away, wouldn’t a script from the original creator’s son be the best option? Especially a son who constantly comes up with creative and fun takes on old material? Undoubtedly, if this ever comes to fruition (and that’s a big “if”) it would have John Landis’ support and really that’s the most important thing. Plus, the idea of a couple of tourists getting mauled by, and transforming into, a werewolf is also such a seemingly simple and direct one. That’s why the first film is so good. The potential for takes on that are endless.